The police play an important role in protecting the safety of the community, but what happens when they cross the line? If you are injured or otherwise targeted by police misconduct , you have options. The California State Department of Justice’s Civil Rights Enforcement Section investigates claims of police misconduct vigorously. 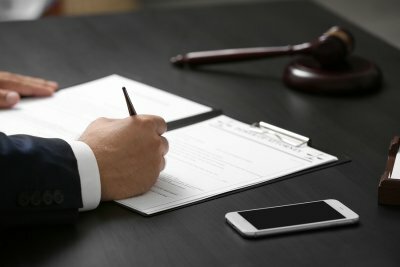 An accident lawyer in Riverside can also help you pursue a claim against the police if you are injured as the result of misconduct by a police officer. Here is the information every California resident needs to know. Governmental immunity protects police officers from being sued for doing things that are part of their jobs. For instance, if you are stopped by the police and questioned sternly, the experience may be unsettling, but if the police officer did not step outside of the line of duty and did not violate your legal rights in any way, he or she has immunity from being sued by you. Governmental immunity means that the government has to agree to accept any lawsuit that is filed against it, but that doesn’t mean that police officers have carte blanche to do whatever they want with impunity. There are many laws that allow you to file a lawsuit against a police officer who has engaged in misconduct. Although many different types of police misconduct exist, the most common cases involve false arrest, malicious prosecution, and excessive force. You may be able to file a case for false arrest if the police arrested you without probable cause. Malicious prosecution involves the pursuit of legal cases against someone without probable cause. For this type of lawsuit, your attorney must prove that the police started a criminal case against you for which you were not convicted, without probable cause and with malicious intent. In an excessive force case, your attorney must demonstrate that the police used force against you that was not reasonable given the nature of the case and your interaction with the officer. If you believe you have been the victim of police misconduct, contact an attorney right away. A notice of claim must be filed within six months of the arrest. Keep careful records of your interaction with police so that your attorney can rely on them when preparing your case.